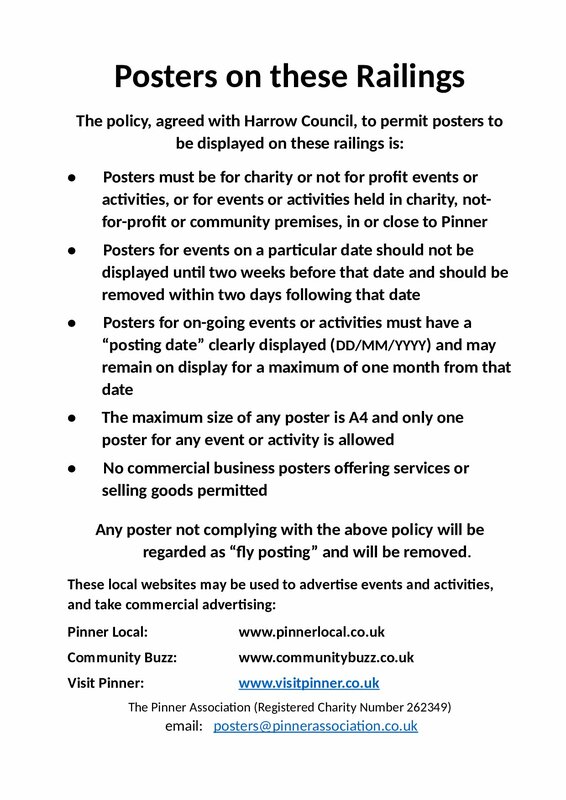 Posters on Bridge Street Railings – change to policy. Having listened to feedback and had protracted discussions with Harrow Council. The following changes have been made to the policy – see below. 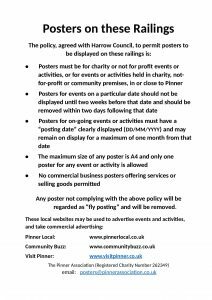 For existing posters advertising rolling events or existing A3 posters, some discretion will be used in the first month of the changed policy. Next Next post: Jack frees his mouse!